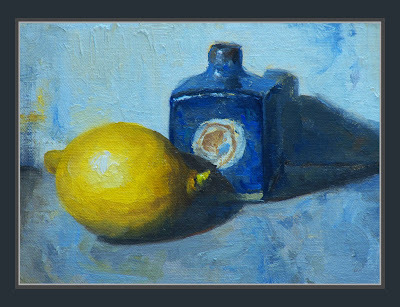 Yellow and Blue - I had an immediate attraction for this and found painting it a pleasure. I love this one Dan!! It is lovely. Viewing it is also a pleasure. Your work always jumps out at me from my google reader list even before I see your name. I think it is because of the strong abstract compositions and fresh, brilliant colors.